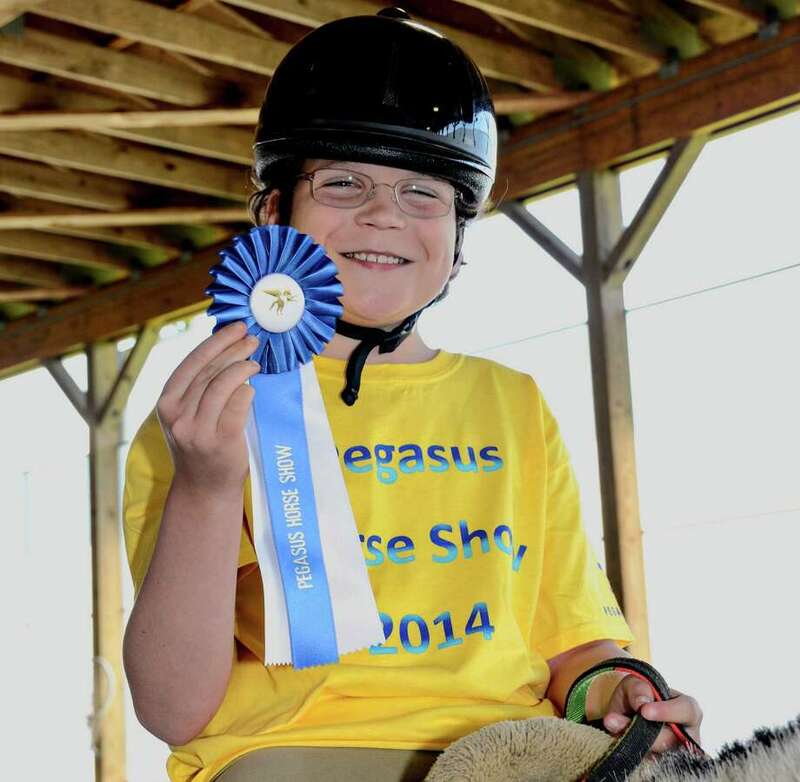 Andrew Baylis, of Darien, earned his therapeutic riding class' "Best Use of Aids" award at the 33rd annual Pegasus Horse Show June 7. Cheered on by staff, volunteers, family and friends, Andrew Baylis, of Darien, earned his therapeutic riding class' "Best Use of Aids" award at the 33rd annual Pegasus Horse Show June 7. Baylis' award recognized his skill at using his hands, body position, legs and voice to effectively communicate with the horse when changing speed or direction. Other Darien ribbon winners were Talbot Clarke, Best Position; Rachel Hurn, Best Transitions; and Abhi Polaki, Best Half Seat. Hosted at the nonprofit's main equestrian center, Pegasus Farm in Brewster, N.Y., the show celebrated the achievements of nearly 70 Pegasus students with special needs. Each participant demonstrated the horsemanship skills he or she practiced during weekly therapeutic lessons at one of Pegasus' four chapter locations in Fairfield, Putnam and Westchester counties. Every student won a ribbon in recognition of improving some aspect of his or her technique. "Today we celebrate not only our horse show riders, but every military veteran, person with special needs and at-risk individual who participates in our programs throughout the year," Pegasus program director Shelly Pope said "This event helps raise awareness and essential funding on behalf of every Pegasus student, and we are deeply grateful for the continued support of our local community."